WHAT I CONSIDER IMPORTANT FACTORS IN A RELATIONSHIP! Hey guys, I was thinking just the other day about factors that are important to me in any kind of relationship, it is important to know the values you cherish so that when you see it in someone you can recognize that this is what you want. I came up with my Top 6 list and I'm going to tell you about it. You can choose to watch the video below or just read the text. Don't forget to SUBSCRIBE to my YouTube Channel by clicking HERE. The first important thing has to be respect, there just has to be mutual respect, you have to respect me, just as much as I respect you. You have to be respectable as a person , which has to do with the way you carry yourself. You also have to respect other people: their opinion, wishes, privacy and even decisions. You can argue without trading insults, that's a sign of respect. Respect involves choosing your words carefully, honor boundaries, show consideration, being willing to compromise and acknowledging contributions. Trust is a key factor in any relationship, you have to be trustworthy. How can your comfortably conduct a business with someone that is reputable for his mago-mago ways? How can you have trust in a relationship where one spouse is always cheating? How can a friendship survive without trust? If you knew that your friends bad mouth you immediately your back is turned would you maintain that friendship? See why trust is so important? Trust is what gives you confidence in any relationship. You can answer the questions below to measure trust. Are you reliable and dependable? Do you keep important promises and agreements?Are you a pillar of support? Can two walk together unless they agree? You cannot maintain a relationship unless you are understanding, understanding of people's feelings, of their actions and their decisions. If you understand that your wife has been working all day just like you at the office, you would help her out with house chores. There are just so many scenarios where all people need is an understanding ear and hugs. Mutual love, respect, trust, and confidence between the two partners can develop only after you develop a good understanding. Unsuccessful relationships are mostly due to misunderstandings that develop and understanding of the core issues is some what diverged. There's no relationship without Communication: you have to communicate effectively by actively listening and speaking. Don't bottle up feelings and when you have to speak about an issue, communicate without attacking the other person. It's better to say "I feel unhappy when I come home and the living room is untidy" than to say "you are just a dirty pig, see how filthy this place is"...which do you think will get a better response? Learn to listen, Make thoughtful gestures, Always do more building verbally and non verbally, Be honest and share your feelings...these are all forms of communicating. Hobbies must include fearing of God. LOL Somebody wey nor dey fear God can do anything...I'm telling you. A woman will not say " Oh my husband is so handsome so I won't cheat on him"...it is the fear of God that prevents that. When people have the fear of God, they are answerable to God first before you, so in any situation they will be trying to do the Godly thing, not necessarily because of you, but because of that fear of God. That's why people are always advised to marry "God fearing spouses". A business man with the fear of God will not dupe his customer...Fear Of God: Very Important. 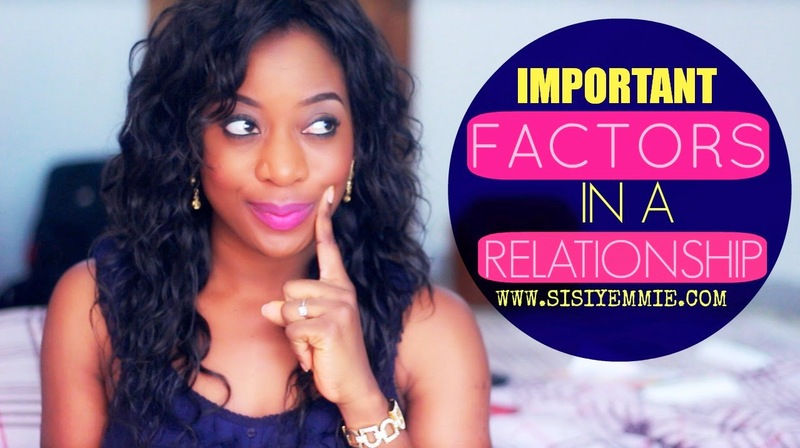 Make I hold brake here... what factors would you consider important to you in a relationship? You have said it pretty well. I would add emotional, intellectual and sexual compatibility. I hold intellectual compatibility pretty high. I think if we think in similar ways and you are able to understand how I reason and I can understand you then I believe we will have a stress free (well I guess less is more apt, no relationship is stress free). Also a compatibility in value system which I guess is similar to fear of God. Everyone has their own origin, make sure you read your spouse's brand manual VERY well. His malfunctioning symptoms, everything about him as a product and most especially, memorize the " How to troubleshoot". Part well!. You cannot be a boss everywhere as a woman.